Scientific Molding to me is a bit different than having a whole lot of data studies. To me, and to many of my peers, scientific molding is an disciplined elimination of multiple variables, which yields an range of conditions/settings/protocol/things that you must do. 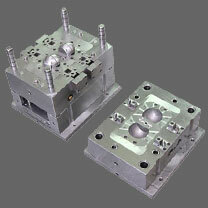 This will yields the highest volume of acceptable parts with the least amount of cost. I.E., when you do this, and you do that - the press operates thus and you get money. Going thru the methology checklist eliminates the variables in a disciplined fashion resulting in an updated group of setting, updated methods of handling material change outs, setting up a mold, scheduling jobs, etc. and reduction of scrap. Happy customers, happy plant operators, more money. Here is the other key, you have to have the discipline to relook at the methods you are using and look beyond just machine set-up. (I.E. what was in the machine before certain jobs are run, - which dryer did the material dry in, what was the dryer cycle, etc.) Of course when the part production drops below a certain level or the scrap rates rise too much you should repeat the process. And, one has to weigh the cost of doing this in a thorough study versus writing down anecdotal notes and "what we used before." I was molding for 20 years before I became a Master Molder. I was also lucky enough to have John come to our plant a couple of times and go through studies and universal truths. It is surely true that even though I thought I was good, I had no clue...I was truly inspired by scientific molding. Well, after the honeymoon, reality set in. Loose shutoffs, gates, vents, locks, wall sections, etc. That's a lot of money. We are not spending money on this at this time. Nothing beats a good tool. Scientific molding has dramatically increased the chance of making a safe, repeatable process, but it is not a magic wand. With a total IQ-OP-PQ approach, this is a good tool for the process part of the qualification, but it still depends on individual to understand what knob to turn.